“As white sharks swim through the water, little pieces of skin and mucus are coming off their bodies. And those pieces contain DNA that’s specific to white sharks. We can then find that DNA using new techniques in biochemistry,” Lafferty says. He says this research could improve public safety. 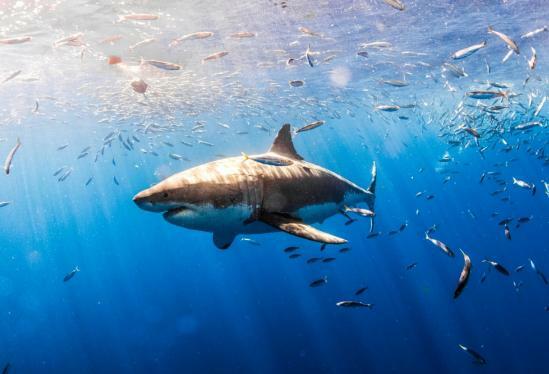 “A lifeguard would be able to walk down to the shore and take a water sample and shake it and see whether or not there were white sharks swimming along the beach,” he says. Lafferty says the research could also help marine biologists understand how well white sharks are recovering after protection efforts.